I wish you all a most blessed Feast of the Purification. Today we also honour Our Lady under Her title of Good Success. She is the Patroness of the SSPX-Marian Corps Toronto. 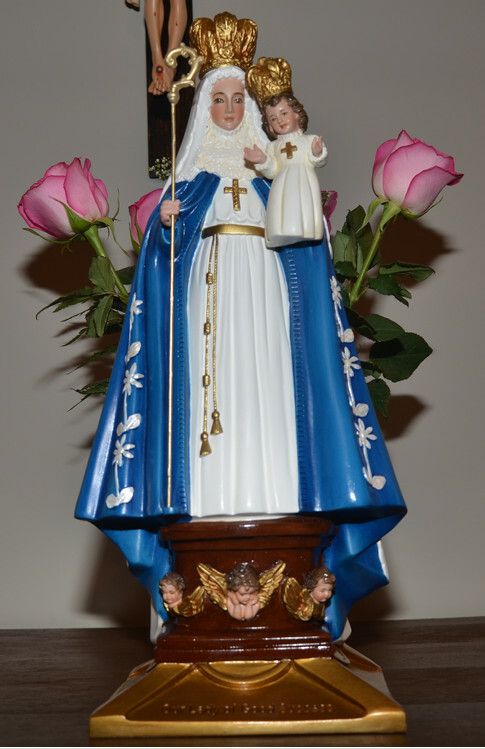 Below is the statue that was made in Quito, Ecuador and which is placed next to the altar at every Mass sponsored by the Our Lady of Good Success Mission. Please pray today to Our Lady under Her title of Good Success that She may grant us a permanent Resistance priest for the Toronto area. Hello can you please tell me whrrevto find a statue like this? Thanks in advance! It is no longer sold where it was purchased. Sorry.